Who’s Sorry Now? Do We Really Need Another Apology? It was just a random comment that slipped out during unscripted live coverage. It happened on CNN but, in this case, Don Lemon was not involved. 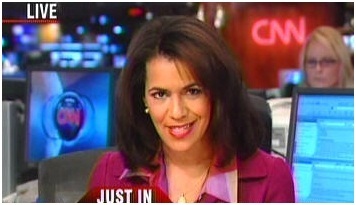 Instead it was the uncontroversial but professional Fredricka Whitfield, who has hardly been a magnet for controversy during her years at CNN. When she used the phrase “courageous and brave” to describe the actions of a shooter trying to commit mass murder of police officers, it was hardly what she wanted to say but it’s what came out. It took 24 hours for her to make a three-sentence explanation (it would be false advertising to call it an “apology”) and that didn’t satisfy the commentariat. At Mediaite Joe Concha thought it was crazy that she didn’t clarify or walk back what she said immediately, or at least before she left the air. Today Howard Kurtz echoed Concha in a Fox segment that went out of its way not to impugn Whitfield’s motives. Both seemed to think the non-apology apology was lame, and to an extent they’re right. It was tossed off so matter-of-factly that it gave the appearance of dutifully checking off a box to get it over with. But if anyone thinks the problem was the lack of an actual “apology,” The Cable Gamer disagrees. To say that apologies have been devalued would be an understatement.We get them now almost daily in our media. Too often they’re another penalty that the guilty are made to serve before they can be let back into The Game. But Whitfield’s continuing problems are not because of a failure to apologize. They stem from the afterthought nature of her words, and their routine recitation. The Cable Gamer knows what it’s like to be on the air live and pick the wrong words, and appreciates that hindsight is 20/20. But what if Ms. Whitfield had offered something like this explanation for her gaffe? I just want to take a moment here to clear up something I said. I don’t know what happened when I was talking about the assault on those police officers because I know it was a reckless, brazen attack, and yet…when I was fumbling for words like those, out came “courageous and brave.” I’ve made some bad word choices but that has to be one of the worst, because it sure didn’t reflect what I was trying to say. If anyone is “courageous and bold” it’s the first responders who risk their lives every day to protect us, not the diseased minds who target them for assassination. So I just wanted to tell you, and any members of law enforcement whose jaws dropped when they heard those words, that it’s not what I meant. It was a slip of the tongue, not of the heart, and I promise to make sure it never happens again. If Fredricka Whitfield had made an explanation along those lines on Saturday, the discussions about her today would be far different than what we are hearing now. I appreciate your post with a better apology. A similar scenario followed Brian Kilmeade’s widely criticized terse apology (also 24 hours later) when he made that ill-advised comment joking about the Ray Rice elevator assault. What were these two thinking?